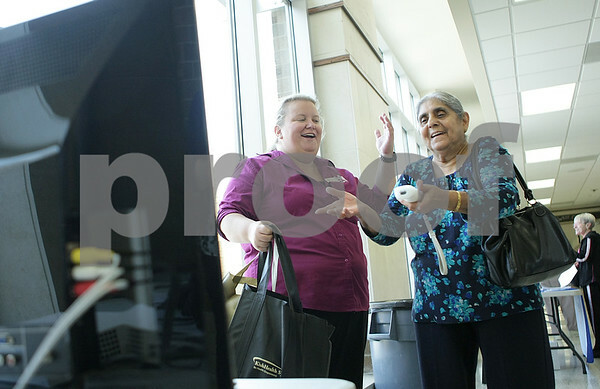 Erin Tamms (left), development director for the Family Service Agency, helps Sundina Sarup, 79, play Wii bowling at the Senior Health Fair at DeKalb High School on Thursday, July 17, 2014. The Family Service Agency hosts Wii bowling leagues for seniors at their senior center in DeKalb. Serup knocked down six pins during her first try at the video game.